Perfect for dispensing from your 55 gal. drums or using as a workstation. Provides custom secondary containment flooring. 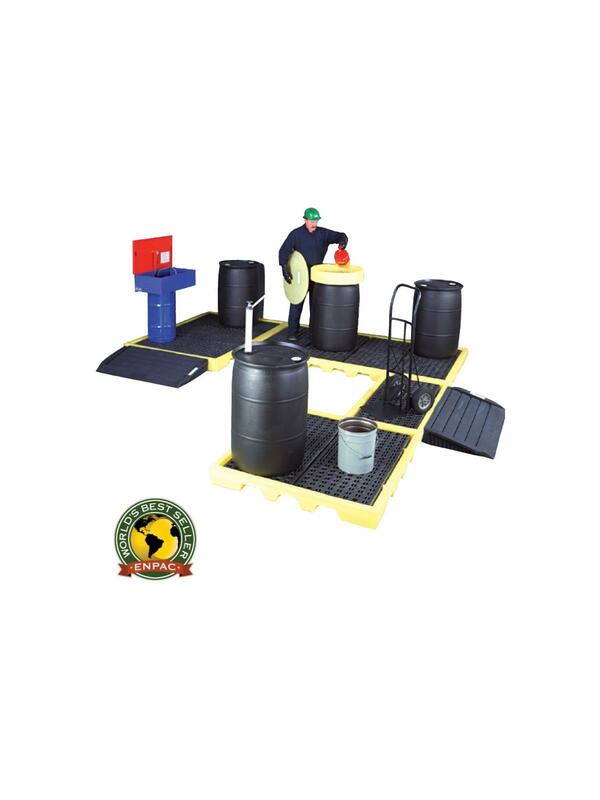 Hook 2, 4, 6, and 8 drum work stations with Link Locks to configure any shape spill platforms to meet your requirements. Tough polyethylene construction won't rust or corrode. Low profile 6" H. Not forkliftable. FOB Shipping Point. 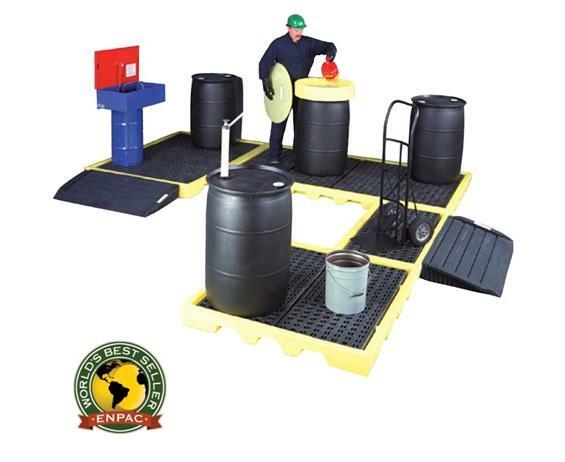 See Related Items tab for Enpac Low Profile Workstations™ Options. 53 x 53 x 6"53 53 6"